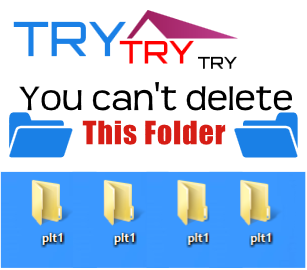 This is a best and simple trick,How you can make a folder which nobody can be deleted and nor be renamed.If u want to make this folder then you have come to right place.From this trick u can create a folder which cannot be delete or renamed,now main point is how we can make this folder, Okay follow bellow steps to make this type of folder. Step:-2 In run box type "cmd" without any quotes. Step:-3 Now you can see a command prompt will open on your screen, in the command prompt window type the name of your drive you wish to create to your folder and then hit the enter button from keyboard. For example :- if u want to create your undeletable folder in drive "E" then type E: and hit enter. Done now go to your drive and watch your folder will created try to delete them. Step;-3 Now type below command and hit enter. Done now your folder will deleted..!! Note:- If u like this post please give me your comments for your feedback suggestion or help,Thanks..! !